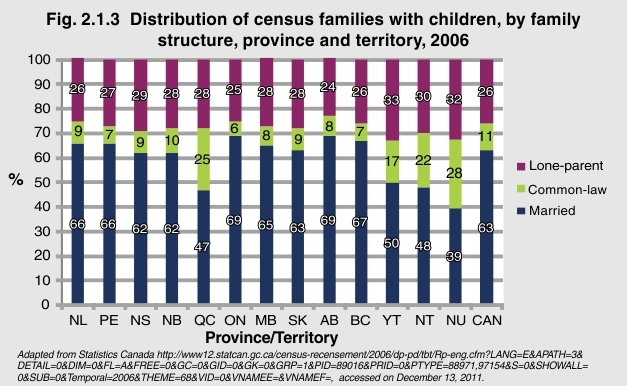 In 2006, across the provinces, the proportion of Census families with children led by married parents ranged from 62% to 69%, except Québec where only 47% of parents were married. In the territories, on the other hand, 50% or less of families were led by a married couple, while 30% or more were led by a lone parent. The Yukon showed the highest proportion of lone-parent families at 33%.